Boss Cabins is well known in the welfare industry for its constant innovation and cleverly designed products. After establishing the business as a market leader in the mobile cabin market, the team has now turned its attention to the humble WC. At Showman’s Show 2018, Boss Cabins will be introducing a brand-new concept in portable toilets which breaks all records in terms of sustainability. 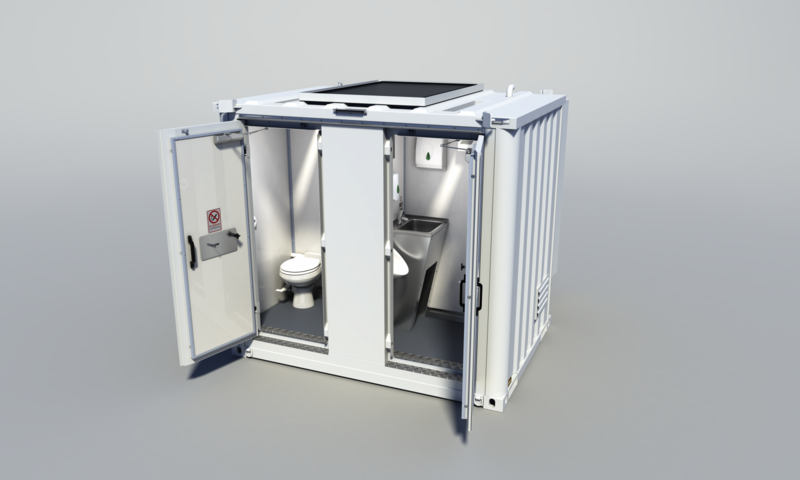 Its prototype Toilet Space range combines Boss Cabin’s revolutionary patent-pending new waste management system - the WM Pro - with its ground-breaking electrical management system Eco Ultimate to produce the most sustainable toilet unit ever. This radical design represents the most important advance in waste management in many years with a focus on measurable water and energy conservation that offers huge savings in both environmental and financial terms. Due to be available in 2 or 4 cubicle layout, these units will be fully compliant with all current UK/EU legislation including the need to provide separate men’s and women’s facilities on site. The concept is already generating considerable interest in the industry, so much so that clients are pre-booking build slots to guarantee supply once the unit is officially launched. Visit Boss Cabins’ stand at Showman’s Show to view this evolutionary toilet design and find out more about the science that powers it. As well as Toilet Space, Boss will be demonstrating its market-leading mobile and static welfare ranges and showcasing a recent addition - Chillbox, the ultimate mobile refrigeration unit which is currently taking the hire market by storm.